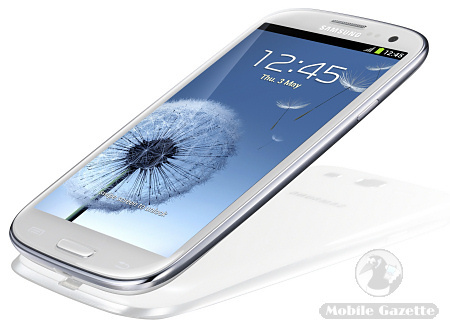 One of the most anticipated handsets of the year, the Samsung Galaxy S III replaces the best-selling Galaxy S II that came to market a year ago. 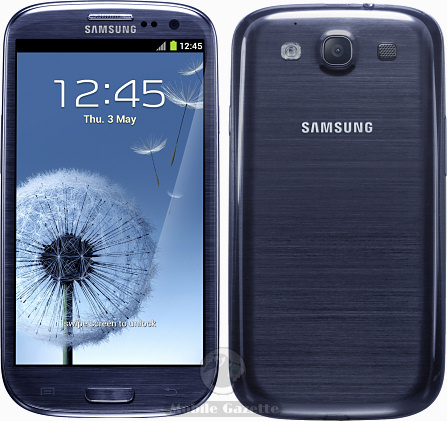 The Galaxy S III is an Android 4.0 smartphone with a large 4.8" 720 x 1280 pixel HD AMOLED display, on the back is an 8 megapixel camera and there's also a 1.9 megapixel unit on the front for video calls. And the good news for Samsung fans is that the Galaxy S III should be available in Europe from the end of May. Frustratingly, Samsung haven't given been very clear about the processor configuration, but we are lead to believe that is has a quad-core 1.4GHz CPU with 1GB of RAM and a dedicated graphics processor. The Samsung Galaxy S III comes with 16 or 32GB of flash plus a microSD slot (with a 64GB version promised), and in some regions the S III will support 4G connectivity. All the usual Android features are here, plus a load of Samsung add-ons for social networking, taking pictures and media sharing. As you would expect, there's WiFi, Bluetooth and microUSB connectivity, plus support for GPS and GLONASS navigation, and the Galaxy S III supports NFC as well. Sensors aren't usually very interesting on Android devices, but the Galaxy S III packs a barometer, digital compass, accelerometer, gyrometer, proximity sensor and an RGB light sensor. NFC communication means you can use the Galaxy S III for things like contactless payments, and you can even do clever things like multicasting media on your local wireless network. This is a good looking handset, available in either black or white. The Galaxy S III is very slim at just 8.6mm thick, and the overall weight of 133 grams is very reasonable for a device with a screen this big. Inside is a very large 2100 mAh battery, which has 25% more capacity that the S II. The Galaxy S range is the handset that all other Android smartphone manufacturers try to beat, so you can assume that Samsung's rivals will be looking at the S III very closely. We don't have any guidance on price at the moment, although you can expect it to be reassuringly expensive.